Special guest Jay Mac (@jayaitchmac on Instagram) joins us again to talk about how to make your own sourdough starter! 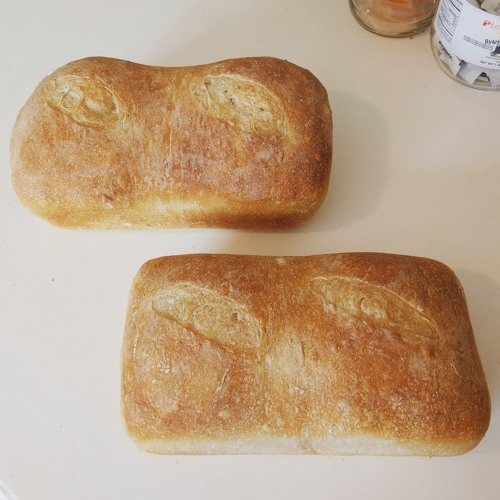 Here are the links mentioned in the episode: https://search.kingarthurflour.com/baking/Discard-Starter-Recipes, https://www.kingarthurflour.com/recipes/extra-tangy-sourdough-bread-recipe, https://www.thekitchn.com/how-to-make-your-own-sourdough-starter-cooking-lessons-from-the-kitchn-47337. Be sure to check us out online on Facebook and Instagram (@marymacbakehouse), Twitter (@marymacmixes), and on our website, www.marymacpodcast.com!